"It was a mistake and I have learnt from it," Sarfraz told reporters. Sarfaraz, who is Pakistan's permanent captain in all three formats, has been forced to return home after the ICC had imposed a four-match ban on him for making racially motivated comments about Andile Phehlukwayo during the third ODI in Durban. 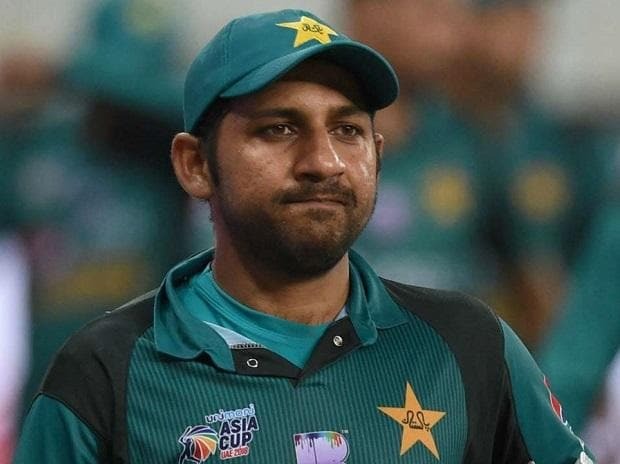 The Pakistan Cricket Board (PCB) was quick to express its utter disappointment about the ICC's decision to ban Sarfaraz, noting that he had apologised immediately for his remarks to the South African team and also went and met with Phehlukwayo and expressed regrets to him. "I am thankful to the PCB for the way they have handled this case," Sarfaraz said. "I also accept the ICC decision to ban me for four matches and for me that issue is closed but I will do whatever the PCB tells me to do," he added. "I have no issues with the PCB decision to call me back. In a way I see it as a good chance to get some rest and prepare for the coming Pakistan Super League as I have been playing non-stop cricket for around five months now," Sarfraz said. "That is all I want to say," he said when asked again about the matter.